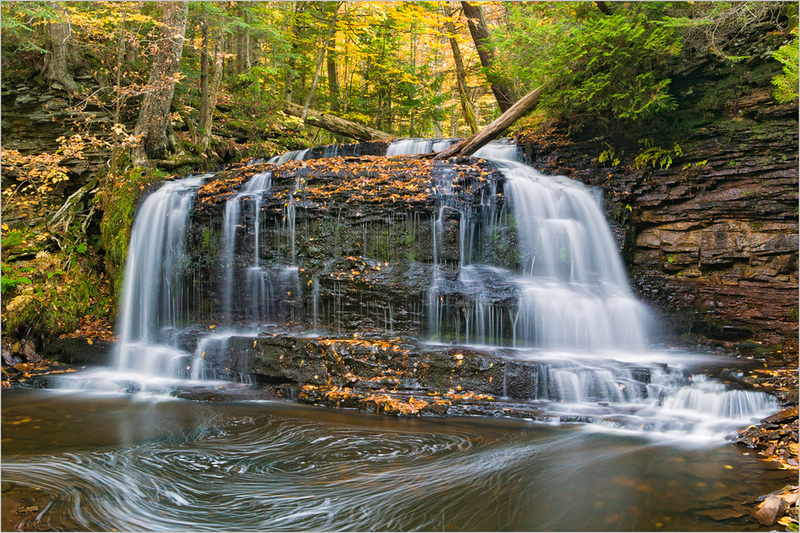 The Upper Peninsula of Michigan is one of THE places to see and photograph fall foliage. I had the opportunity to visit the Upper Peninsula during fall about eight or nine years ago, but haven't been back since. This is the year of my return! In fact, by the time this is posted I may well be on my way back home. Timing is always somewhat hit or miss (like the time I showed up for spring wildflowers at Great Smoky Mountains National Park a few years ago when we had a very warm and early spring, only to be told that the wildflowers were gone, having bloomed three weeks earlier than usual). I am hoping that we will have arrived there in time for some great color. In the meantime, I have posted some of my photographs from that trip I took eight or nine years ago. I will let you know how the conditions were upon my return. Addenda: I wrote the post above before actually taking my trip. Unfortunately, I had to cancel the fall visit to Michigan.....but why not show the Upper Peninsula images anyway? I am looking forward to rescheduling this adventure next year! 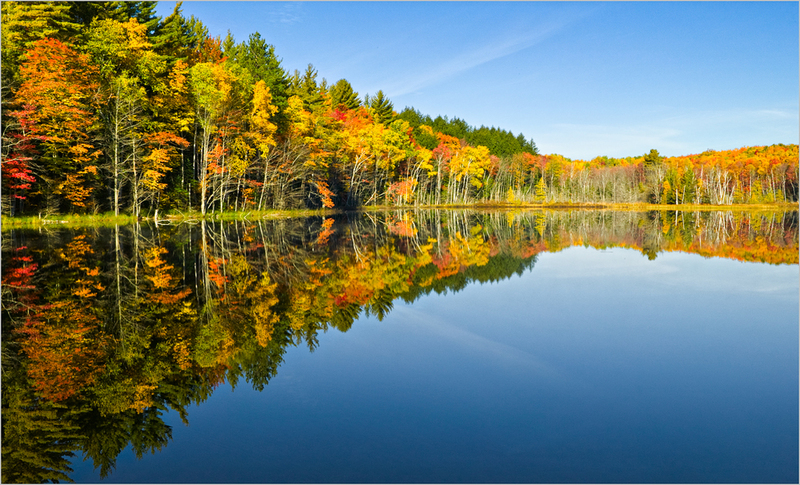 Fall colors at Council Lake in Michigan's Upper Peninsula. An autumn leaf at AuTrain Falls in Michigan's Upper Peninsula. Pictured Rocks National Lakeshore in Michigan's Upper Peninsula. I am pleased that the website Northland Adventurer, the mission of which is "through illustrious photography, art and story we bring the awe of the Northland to you, wherever you may be", has recently written articles using three of my photographs from Michigan's Upper Peninsula. The site defines the Northland as Northwest Michigan, Minnesota, North Dakota, most of South Dakota, Noertheast Montana and Northern Iowa. The three images used were among my favorites and are shown below. Click on the link to read the two articles about the locations and while you are there check out the whole website. It's pretty neat, and a fun place to browse! Autumn scene at Pete's Lake in Michigan's Upper Peninsula. Sunrise at Pete's Lake in Michigan's Upper Peninsula. Here is the short article on Pete's Lake from Northland Adventurer. Rock River Falls in Michigan's Upper Peninsula. Here's the short article on Red Rock Falls from Northland Adventurer. One more image 'brought to life' from my hard drive from the 2004 Michigan Upper Peninsula workshop I spoke about in my last post. In this one I was intrigued by the lines and shapes in the foreground made by the flow of the water during the long exposure.